The Doctor has heard rumours about Terra Alpha. People are going missing. Happiness Patrols are walking the streets and arresting anyone who is not happy. He decides to take Ace there to stop the tyrannical rule of Helen A who is murdering thousands of people who are not happy. With the help of Earl Sigma and a former member of the Happiness Patrol, The Doctor goes about starting a revolution. “The Happiness Patrol” is a very political story. From allusions of the EU to a leader who very much resembles the much hated dictator, Margaret Thatcher. Okay, so the last bit was a tad over the top but The Happiness Patrol’s not exactly subtle political message is very clear. Well, obviously not to everyone given that it took Newsnight and some members of the general public (including certain members of the press) about twenty years to realise this. However, the writer and the entire cast knew what it was meant to be which performance and production wise is all that mattered. Is this the same with Doctor Who villains? Mostly we get “monsters” rather than villains, as such. Daleks, Cybermen, Weeping Angels, the Silence. None of these monsters will ever have character development because in essence they are “cheap thrills”. Helen A, on the other hand, belongs to category two: Villains. Like Sharaz Jek in “The Caves of Androzani” or Davros in “Genesis of The Daleks”, the character is not driven by simply wanting to kill people like the above monsters, but by more human feelings. Sadly one of the aspects of “The Happiness Patrol” which lets it down is the effects. From Fo-fo (Helen A’s pet) to the shot of Gilbert and Trevor C leaving the planet together, the effects are almost cringe worthy. This is not down to the fact that the story was made over 30 years ago, seeing as Caves was made several years earlier yet has much better effects. Indeed, the effects are the only thing that lets the story down. “The Happiness Patrol” is an odd story. It lingers between the past and the present, having a “monster” that looks like it comes from the 60s (aka The Candy Man) yet having a main villain New Who would be proud to have. 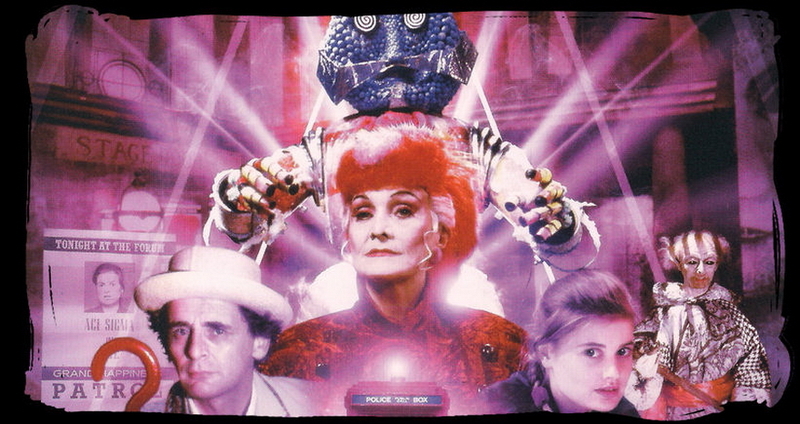 In fact, “The Happiness Patrol” truly is an example of 80s Who, a mixture between the modern and the new, it also shows the beginning of the end of Classic Who.